﻿ Best Price on Le Chateau Ocean Villas in Oranjestad + Reviews! 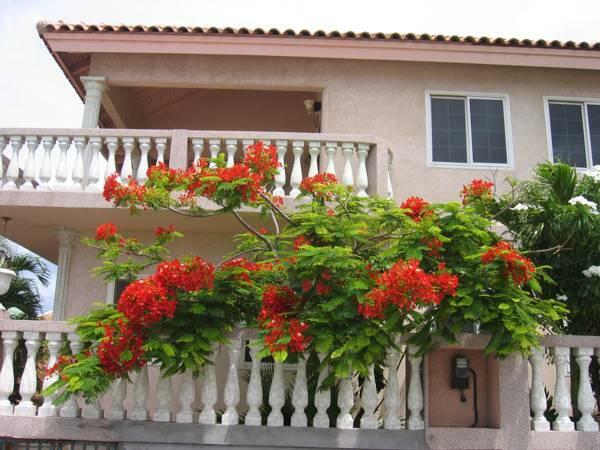 This Mediterranean-style villa is set right on the seafront in Oranjestad, just 800 metres from Surfside Beach. Le Chateau Ocean Villas offers stylish air-conditioned suites with free Wi-Fi and fully equipped kitchens. Decorated in warm tones, each spacious air-conditioned suite has a living-dining area with cable TV and a bathroom with a hairdryer. Kitchens include an oven, stove and fridge. Le Chateau Ocean Villas is located in central Oranjestad, within a 5-minute walk of shops, restaurants and bars. Neptali Park is 750 metres away, while Reina Beatrix International Airport is 2 km away. Free private parking is available on site, and Le Chateau Ocean Villas can arrange car rental on request. Staff can also provide information about things to see and do in Aruba. A deposit via PayPal or bank transfer is required to secure your reservation (see Hotel Policies). The property will contact you with instructions after booking. Please note that a credit card is required for the deposit.